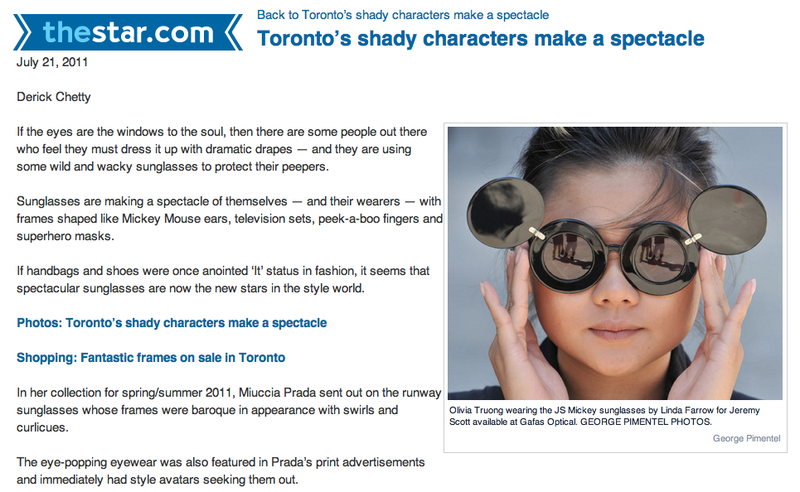 I'm in the Toronto Star!! Some of you might have seen this already via twitter or in the Toronto newspaper. To this date, haven't seen the hard copy of the feature because I'm currently in Hong Kong.Otherwise, I would totally do a youtube video or take a photo with it! haha! 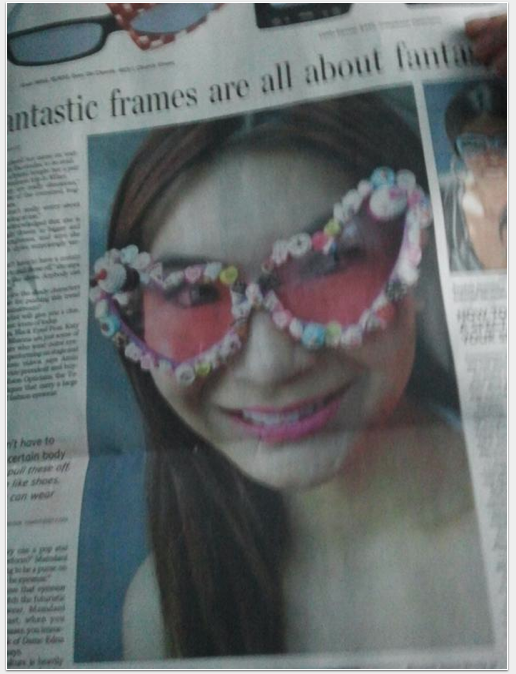 I'm lost in words how excited and honored I feel!Never thought, my DIY creations would go on a newspaper! Sunglasses should totally represent your personality. Electronic Copy of the Print from Toronto Star. 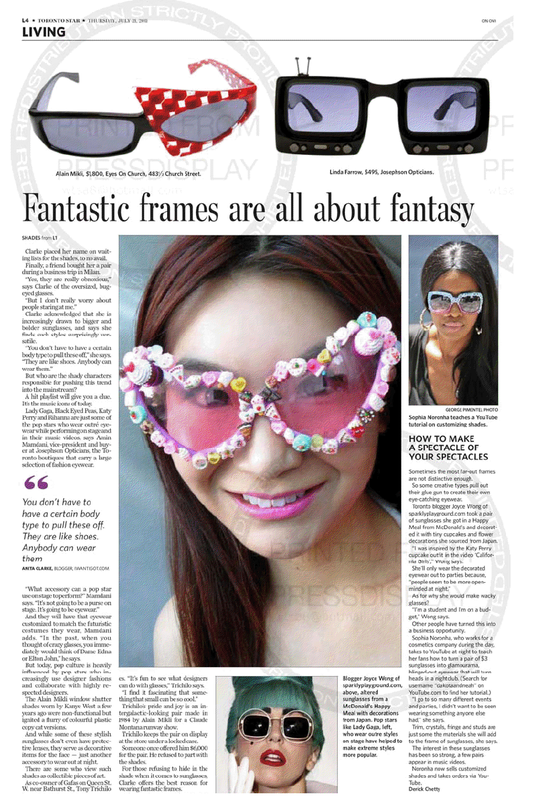 Twitpic of the Print Article. Thanks Michele! Click Here or here to read full article. Click here to see all Photos from the article.